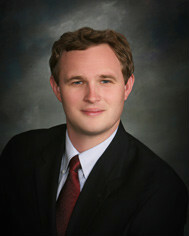 About Us - RICE LAWYERS, INC.
James Gallagher has been practicing law since 2007. He received his undergraduate degree in political science from the University of California, Berkeley. Upon graduation he worked for state Assemblyman Doug LaMalfa as a fellow in the Jesse M. Unruh Assembly Fellowship Program. After completing his fellowship, he went on to receive his Juris Doctorate from the University of California, Davis, graduating in the top of his class. James concentrates on agricultural business law, including corporate and real property transactions, administrative law, farm programs, and estate planning. James served on the Sutter County Board of Supervisors for six years and currently serves in the California State Assembly representing the Sacramento Valley.